The NH-2100T provides outstanding flexiblity and reliability to satisfy your requirements. 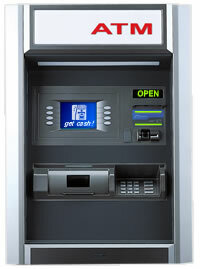 The NH-2100T supports exceptional performance with various components such as standard 2000 note capacity cash dispenser and service panel for monitoring, configuration, diagnostics and maintenance. Our solution strengthens you to build better customer relationships as well as enhanced technologies. NH-2100T meets security standards such as VISA/PCI PIN pad. Transreflective LCD display and weatherized construction ensures operation in all climates. Compact architecture with ergonomic design offers unrivalled flexibility for installation and mounting in all environments. Wall thickness: 4" ~ 10"